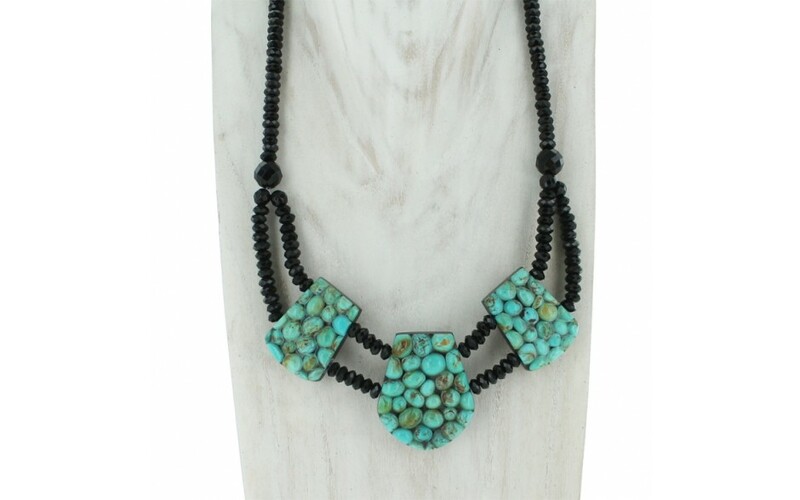 This amazing statement piece features chunky nuggets of Sonoran turquoise set on three slabs of black tourmaline as the focal point. 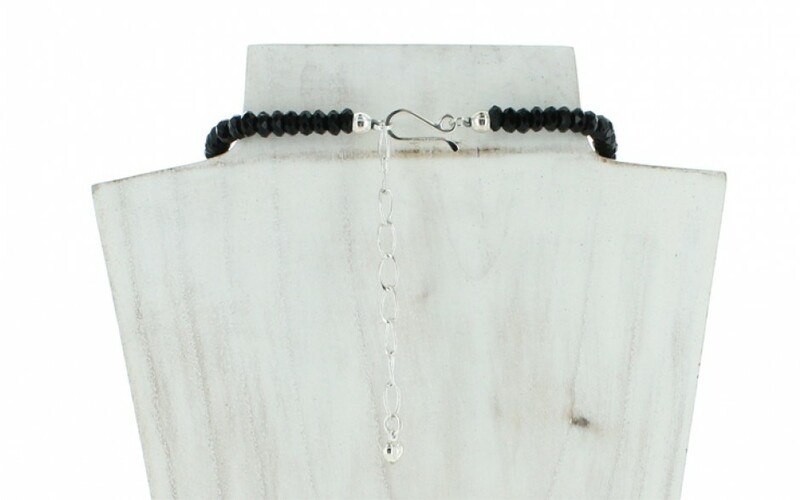 The collar style necklace has a double strand of faceted black agate rondelles connecting each of the three slabs, then gathered by a faceted black agate bead and terminating in a single strand of black agate rondelles. The closure is our signature hook and extender chain. The natural tourmaline was mined in Australia, the color enhanced black agate was mined in South Africa and the stabilized turquoise was mined in Mexico. The center slab measures 34mm x 41mm and the other two measure 25mm x 33mm. The rondelles measure 6mm x 3mm.